Start-up working methods, 3-D printing, and next-generation tobacco products: How the technology leader Hauni develops new products. A leading edge thanks to research: The companies in the Business Area Tobacco hold several hundred patents. About 70 years ago, Kurt A. Körber started a company in Hamburg that repaired cigarette machines and manufactured hand-operated tobacco cutters. Today, the Hauni brand stands for first-class engineering — made in Germany and offered all over the world. In the areas of filter cigarette production, complex logistics, process software, or customized flavor solutions from Borgwaldt – the technical solutions offered by the companies in the Körber Business Area Tobacco have been a major innovation booster for the tobacco industry for more than seven decades. Innovation is created by people — and that’s why two aspects have been crucial throughout its long tradition. One of them is the sharing of knowledge and ideas between experienced employees and talented young professionals. The other is a systematic and continuously applied curriculum of advanced training combined with a clear focus on research. 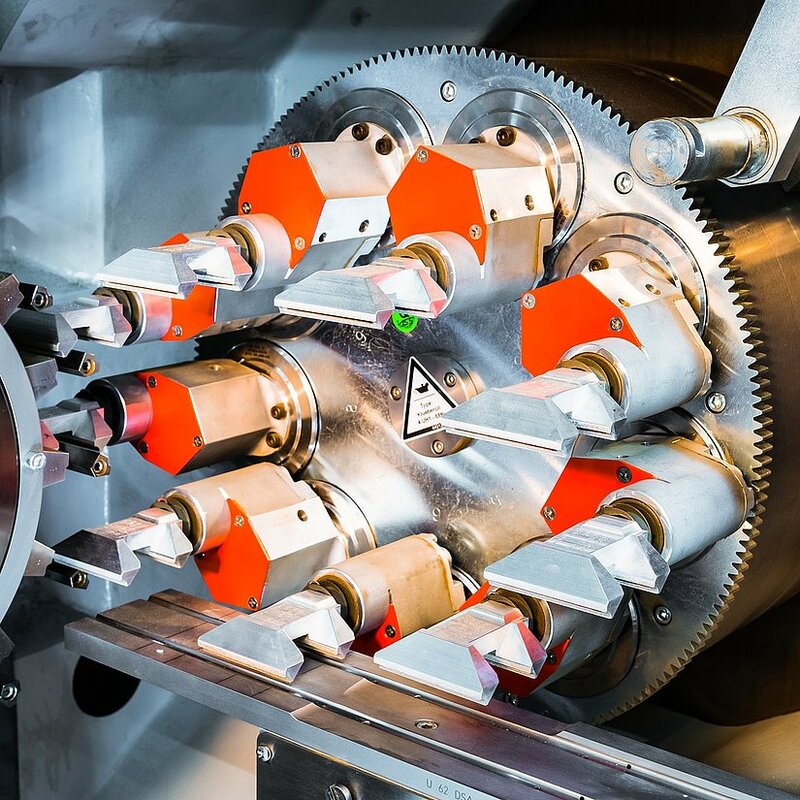 The companies in the Business Area Tobacco invest twice as much funding in research and development compared to the average of Germany’s mechanical engineering sector, and they hold several hundred patents. The technical solutions offered by the companies in the Körber Business Area Tobacco have been having a major influence on the tobacco industry for more than seven decades. 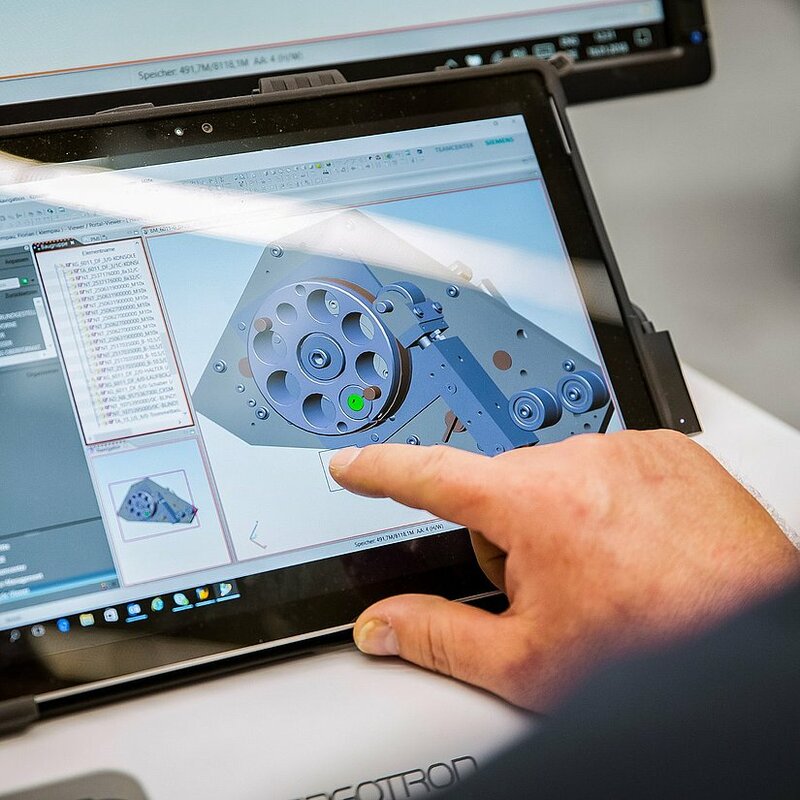 Here as in all Business Areas at Körber, successful innovation is based on the group-wide company values: Customer Satisfaction, Innovation, Connecting People and Knowledge, Responsibility, and Focus on the Future. Numerous innovations from this Business Area are reflected in its offerings. In addition to the traditionally innovative machines and equipment for the production of cigarettes and filters, the portfolio increasingly includes solutions for the manufacture of completely new types of products. Examples include tobacco heating products, which heat up tobacco without burning it up, and products related to smart vaping — that is, solutions for e-cigarettes. The development activities related to new technologies for e-cigarettes were brought together in the Vaping Technologies unit in October 2017. Software experts, electronics developers, engineers, patent managers, and many others are active in the team. All of these special areas of expertise were combined into a kind of internal start-up. The team utilizes agile working methods and the scrum approach to project management. The engineers also use innovative production methods such as 3-D printing. The goal is to launch new products on the market quickly and flexibly, from the initial idea to readiness for serial production. 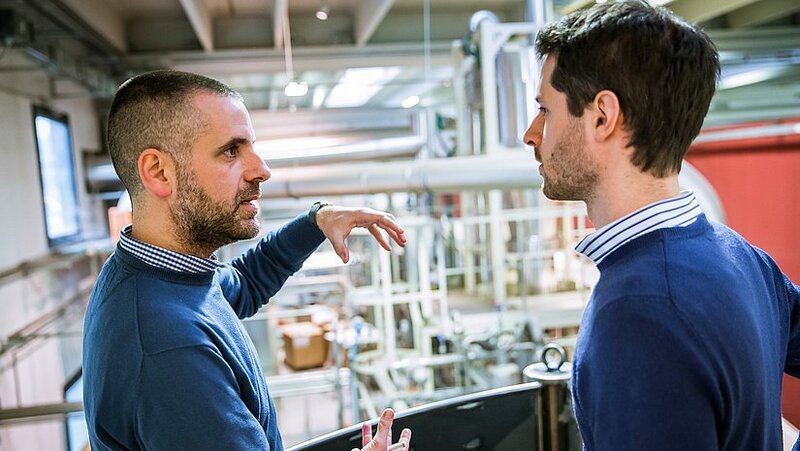 For example, the Vaping Technologies team aims to work together with customers to refine a new evaporator technology into individualized end products and launch it on the market. This solution would avoid the potential risk of overheating and thus prevent the associated pollutant emissions of existing products. Customized: The technical solutions offered by the companies in the Körber Business Area Tobacco have been having a major influence on the tobacco industry for more than seven decades. Mobile workstation: Digital manuals or safety data sheets are available on the tablet. 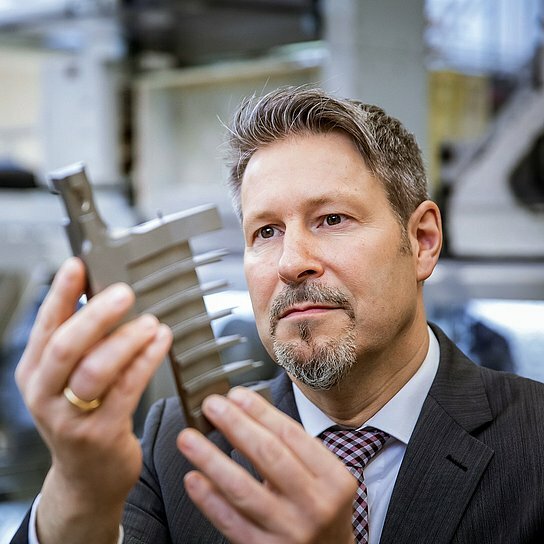 Drives innovation forward: Dr. Martin Hermann, Chief Technology Officer (CTO). The MSM project is a special example of the innovative strength of the Business Area. The acronym stands for “Multi Segment Maker,” a high-tech machine that produces tobacco sticks known as “heat sticks.” These are mini-cigarettes in which real tobacco is heated up to about 300°C. The “heat sticks” are among the next-generation products that have triggered a genuine revolution in the tobacco industry. This revolution led to a paradigm shift in mechanical engineering for the sector. Previously, installations for the tobacco industry were monolithic — that is, they were large self-contained machines. But the machines and equipment for the new products need to be much more flexible. As a result, MSMs are divided up and adapted to individual modular work steps. In order to make this possible, tried and tested internal processes and approaches were radically scrutinized. As a result, this new type of machine was developed in record time. The first MSM will be delivered to customers in 2019. As a technology and innovation leader, we are supporting our customers as they move into the future. Today we’re already providing them with first-class machines for manufacturing the products of tomorrow. 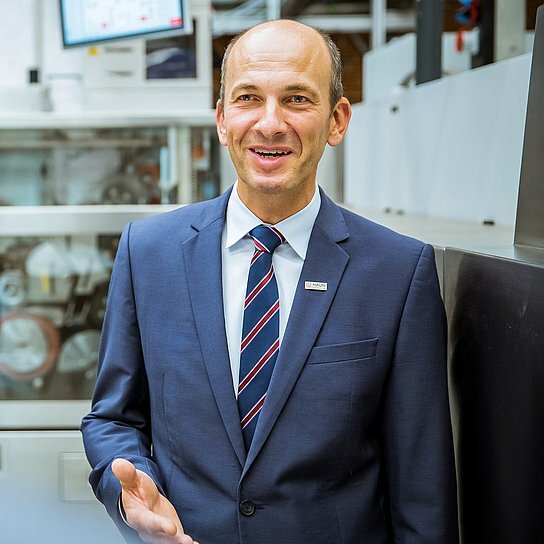 Dr. Martin Hermann, CTO of the Business Area Tobacco, is responsible for research and development, including the development of new solutions - both in the area of conventional cigarette production and in the area of Heat-Not-Burn. After all, just having a good idea is not enough. For innovative projects, the key requirement is the combination of a fast pace and the simultaneous safeguarding of top quality. And the focus is always on the customers. “As a technology and innovation leader, we are supporting our customers as they move into the future. Today we’re already providing them with first-class machines for manufacturing the products of tomorrow,” says Dr. Hermann. This vision goes far beyond the development and construction of machines and equipment. That’s because the companies in this Business Area also offer customized technical services and consulting wherever their customers are located. The Business Area is represented by manufacturing companies as well as sales companies and representative offices on four continents, including North America and Asia. It thus combines the advantages of a global network with those of a local partner that offers closeness, flexibility, and outstanding service in the interests of its customers. High-quality machines and more: The Business Area Tobacco also offers technical services and consultation. Behind every innovation there are people: Discussions between employees are the basis of new developments. Digital access to information — thanks to mobile workstations. The global leader: The Business Area Tobacco offers solutions for the international tobacco industry.